Bethlehem is officially known as The Christmas City and it lives up to its name with some fantastic holiday events and shopping experiences. 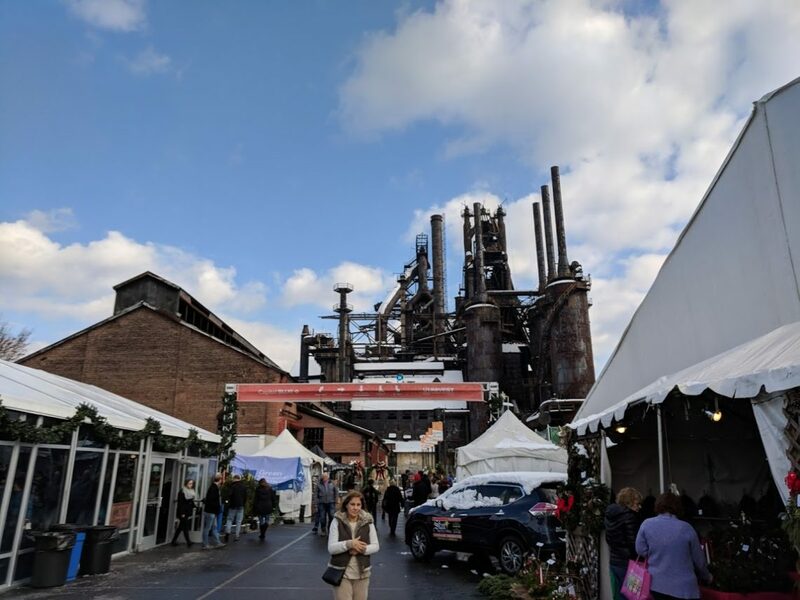 Two of our favorites are Christmas City Village on the north side of Bethlehem and Christkindlmarkt located on the south side of Bethlehem at SteelStacks. Christmas City Village features wooden huts, dressed for the holidays and filled with unique holiday gift ideas. This event is free and open to the public and has a changing selection of vendors from weekend to weekend. Christmas City Village is nestled in the beautiful Moravian Historic District, which makes it the perfect place to visit and then get a bit to eat afterward. – Aisles of handmade works by more than 150 of the nation’s finest artisans. – The ring-ting-tingling sounds of live Christmas music and jolly, old St. Nick’s hearty laughter. – Ice carving and glassblowing demonstrations, including the popular Hot Glass Experience: Glass Ornament sessions. – Käthe Wohlfarht, offering handmade ornaments, nutcrackers and collectibles from Germany. – Breakfast with St. Nicholas (additional ticket required). 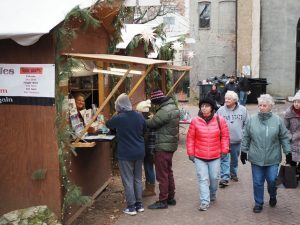 – Christkindlmarkt 2018 season begins on Friday, November 16th and runs weekends until December 23rd! If you’re smart, you’ll head to both and experience all that Bethlehem has to offer during the holiday season!